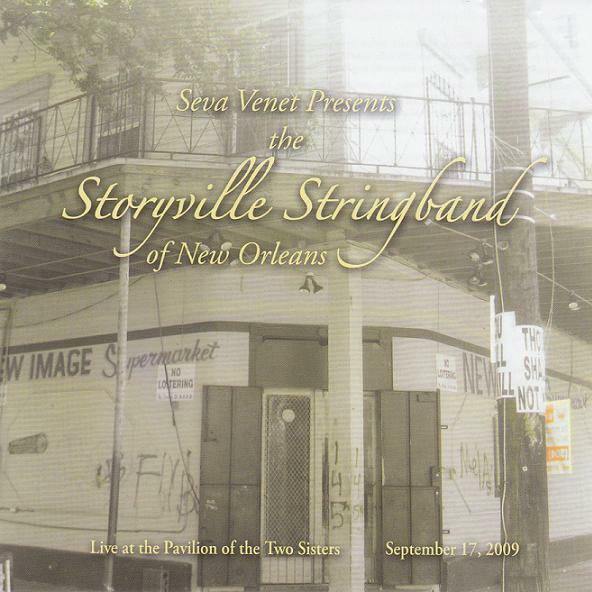 [UPDATED] The Storyville String Band of New Orleans recorded its new release live at the Pavilion of Two Sisters in City Park in September 2009. It was a very well-received performance, as the CD documents. There’s applause between tracks, and sometimes after solos that’s more raucous than we might expect from the Friday evening crowd at a traditional string band performance. The band earns that applause repeatedly. It explores material from the Louis Armstrong standby “Struttin’ with Some Barbeque” to the gospel classic “Old Rugged Cross,” to steel guitar player and bandleader Seva Venet’s original composition “City Park Strut” (which, the recording captures someone saying on the bandstand, “just needs vocals”). John Parker (rhythm guitar), Matt Rhody (mandolin), and Kerry Lewis (bass) keep the music chugging along, and the melody instruments swing throughout. The different melodies intertwine and interact with each other as the songs progress. Rhody, pulling double duty as usual, deserves mention for his violin work. He develops ideas distinctly his own while staying remarkably faithful to the aesthetic and the sound of the tradition within which he’s working. Venet includes liner notes that describe each song, and a rather extensive essay on Manuel “Fess” Manetta and string band jazz on Basin Street in the first two decades of the 20th Century. For all the band’s historical acumen in both theory and practice, though, the arrangements on Seva Venet Presents… aren’t quite what we would expect from a string band recording. Because they were performed live, the tracks all clock in over three minutes, and some get up towards six. That stretching affords the soloists room to breathe and makes room that didn’t always exist for individual creativity in what can be a tradition-bound genre. Updated July 2, 3:05 p.m. The bassist is Kerry Lewis, not Kerry Washington. Seva – Thanks for the correction. We’ve made the change. 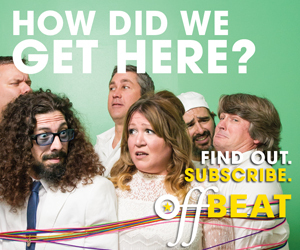 And please check out the band on a YouTube video that shows images of New Orleans and the historic Storyville District from 1894-2010!